Everywhere I go I like to look at boats, so when I came to Vrsar in November 2013, I went to see if ‘HIR 3’ was still there. When I saw her it was a bit disappointing because she looked in really bad shape. We stood in front of the boat for probably half an hour and commented on how she looked, where she has been and everything we knew about her. We discussed about how it was a disgrace that a boat of such a pedigree is abandoned, I took a few pictures and posted them on Instagram, Facebook and Twitter later. Next few months I would occasionally remember what we saw in Vrsar, but that was it. Until one day I spend more time thinking and I decided to try to find the owner. I have quite a few friends and colleagues that might be able to find out who he was, but first I tried google, of course:).. and I found an old ad from 2007 on morsko-prase.hr. Back then she was in top condition, but very expensive. After a while, I wrote an e-mail and sent it, but it came bel because it was an old address which was not used anymore, so I googled the name in the address and eventually found another e-mail and sent it again. This time it seemed that it went through. The next day I got a reply from a guy who said he was still the owner and that he was very sad that the boat was in bad shape and that he wanted to sell her. 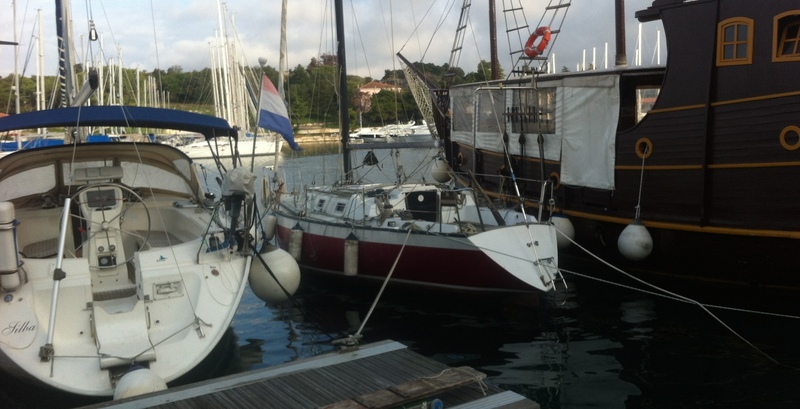 We met next week in Zagreb and a weekend after that we went to Vrsar to have a look at the boat once again. We were there early in the mooring. It was a cloudy day with strong ‘Jugo’ (southerly wind), low pressure and everything looked very depressing. When we finally made it to the boat, he opened the hatch, I looked inside and entered in the cabin. I was shocked. I expected she was neglected, but I never could have imagined the horror inside. 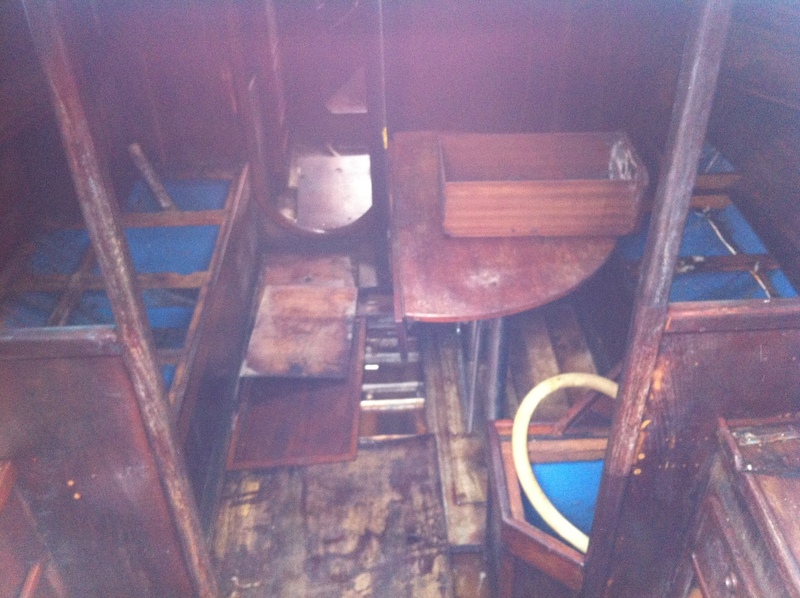 There was water all over the remains of the floorboards, everything was taken out (which was actually a good thing), all wood in the interior was wet and full of mould. Everything looked like from a horror movie. I lost the will to take pictures and my first instinct was just to get out of there and never look back.